Preheat your Yoder Smokers YS640 to 500ºF. 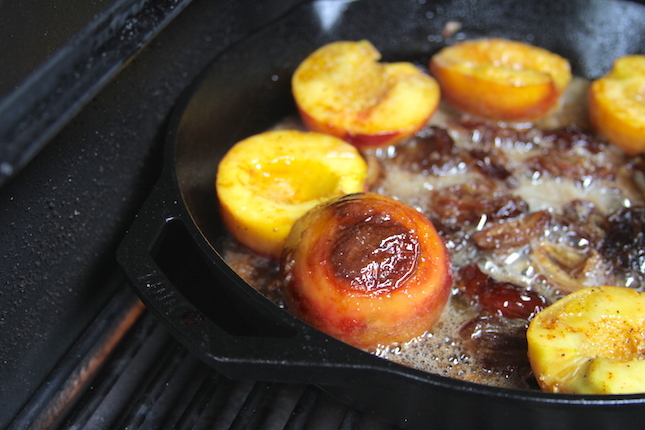 Place a Lodge Logic 12” cast iron skillet in the cooker. 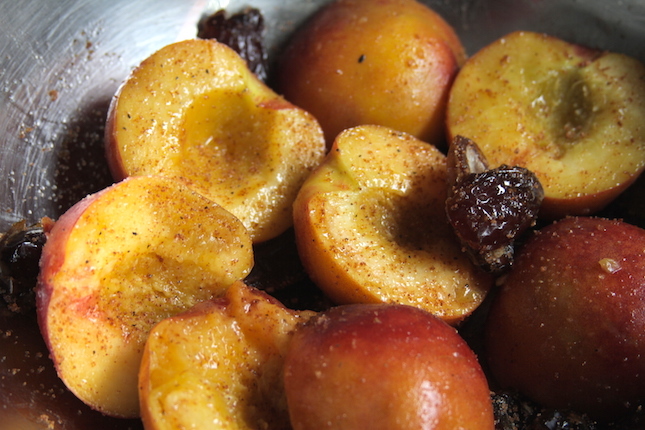 Toss the peaches and dates in John Henry’s Sugar Maple Rub Seasoning. 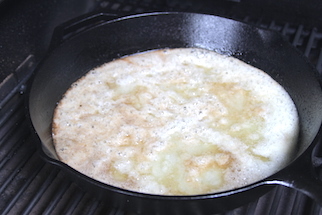 Melt the butter in the skillet, then sprinkle half the sugar around the pan. 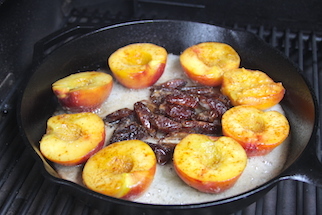 When sugar begins to melt, place the peaches and dates skin-side down and cook until the bottoms of the peaches begin to brown, about 5 minutes. Carefully add the amaretto and the remaining sugar. Continue cooking and caramelizing for about one more minute. 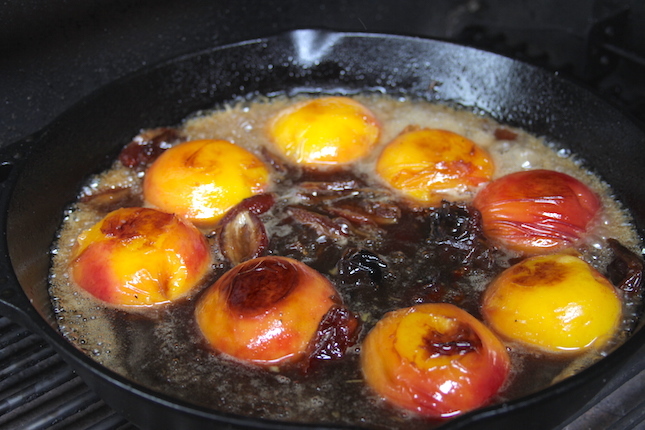 Turn the peaches over to brown the flesh sides, about one minute. 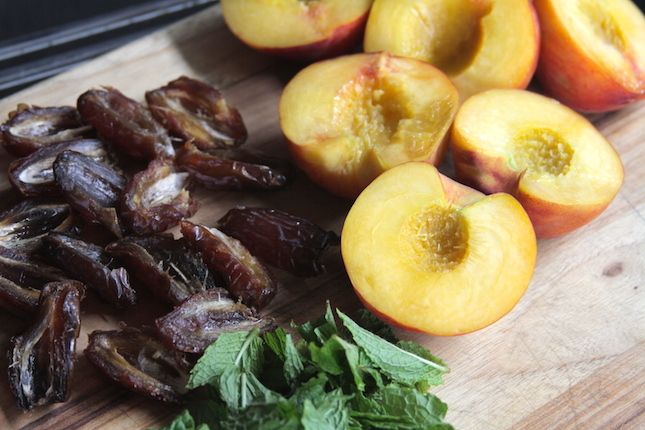 Remove fruits from the skillet and garnish with mint leaves. 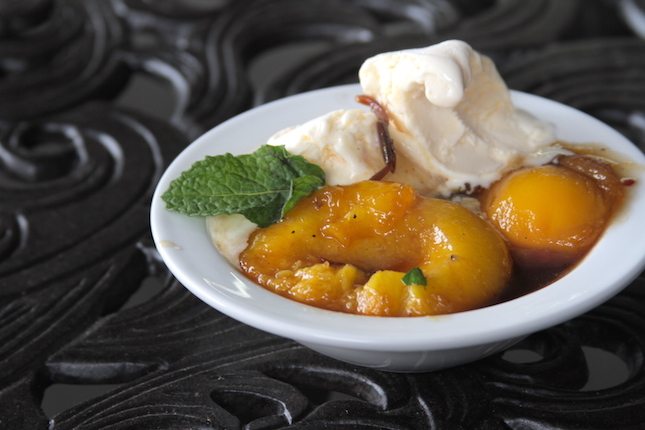 Serve with vanilla ice cream.